It’s that time of year when Southern Ontario Strawberry fields are bursting with red, delicious berry goodness. Easy to pick and easy to eat, strawberries are a versatile fruit that are jam packed with vital nutrients. The only fruit that holds its seeds on the outside, strawberries are pretty to look at, and good for the mind and body. Scientific studies claim that strawberries contain Fisetin, a flavonoid that can kill breast cancer and cervical cancer cells, while other properties include anti-inflammatory agents, and antioxidants that lower cholesterol. 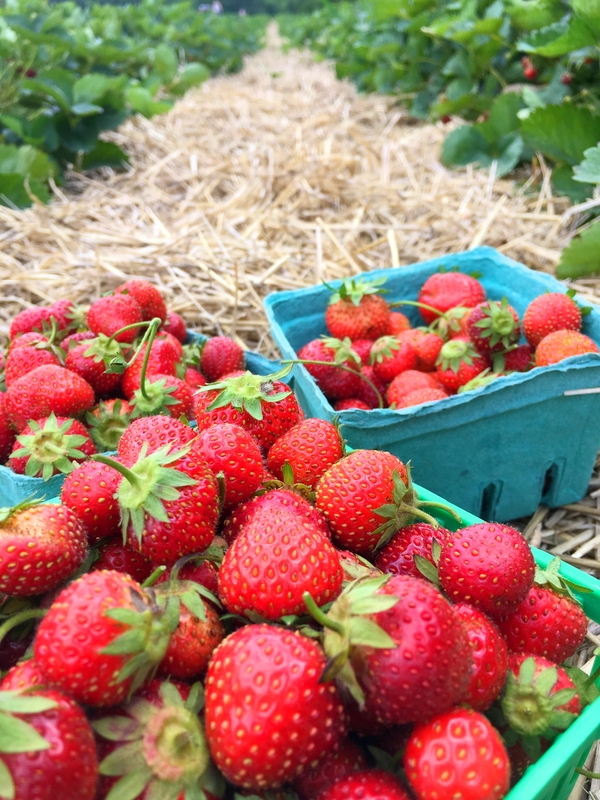 Packed with Vitamin C, strawberries are commonly used in a smoothie or a salad, but can also be incorporated into sauces that cover meats, or how about in pasta. Here’s a super simple recipe for a delicious Strawberry Tomato Sauce that can be tossed with your favourite pasta. Warm olive oil in a deep frying pan. Add finely chopped garlic cloves to the oil. Once garlic is lightly toasted, add one can chopped tomatoes, or finely chopped 4 to 5 fresh tomatoes. Allow the tomatoes to soften and break down on medium heat. If using fresh tomatoes, you may need additional liquid. Use some vegetable stock as needed. You can also use a few tablespoons of liquid from your cooked pasta. Every recipe needs salt and pepper, here’s where you add it, to taste. Once the tomatoes look saucy, add 1 pound of chopped fresh summer strawberries to the sauce. Allow the mixture to soften and fuse together. Lower heat and add fresh chopped basil and mint. Stir in the balsamic vinegar. Allow the sauce to simmer to on low heat. Toss in your favourite pasta and you’ve got a healthy, fresh summer dish full of nutrition. Shave in some parmesan cheese for extra goodness and flavour. If you’re a meat lover, add a side of shish kabobs or chicken breast with a generous dollop of your Strawberry Tomato Sauce. 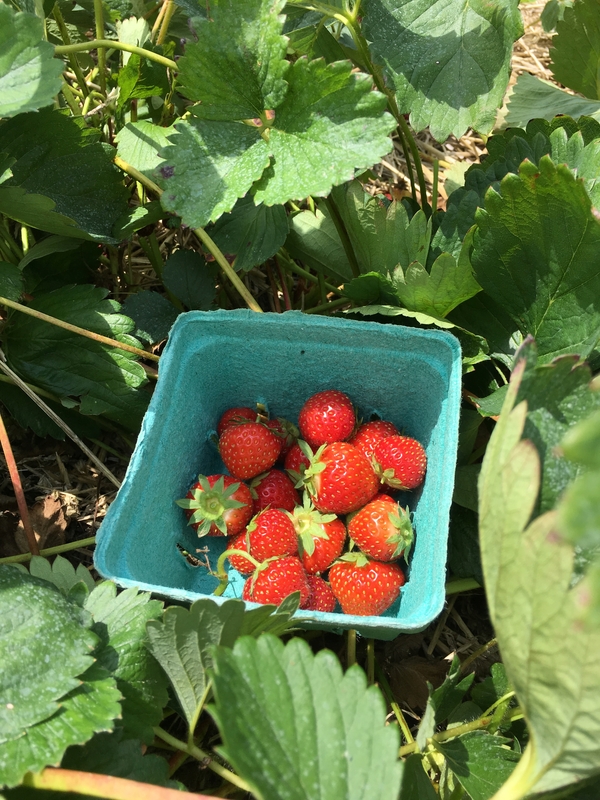 Strawberries are also delicious eaten just by themselves. Wash a bunch and go for it. Yum! Delicious and nutritious strawberry goodness. While we eat strawberries, don’t forget to enjoy the experience. 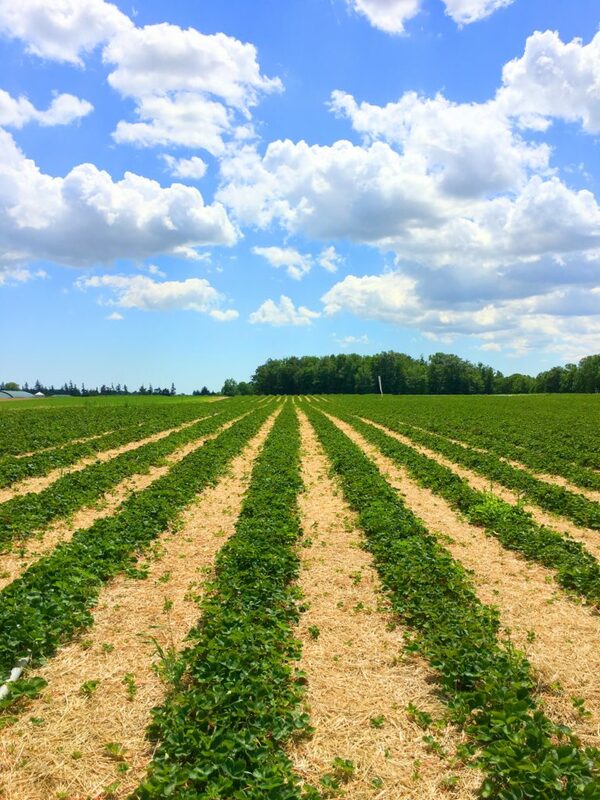 Picking your own at a strawberry field is something not to be missed. Go slow, savour the experience, lay in the field and watch the clouds go by. Farms that offer the pick your own option leave you to do your own thing. Why not take advantage of celebrating the goodness of nature while celebrating its bounty. Let us know how your strawberry recipe turned out by commenting here or tagging us in your images on Instagram.